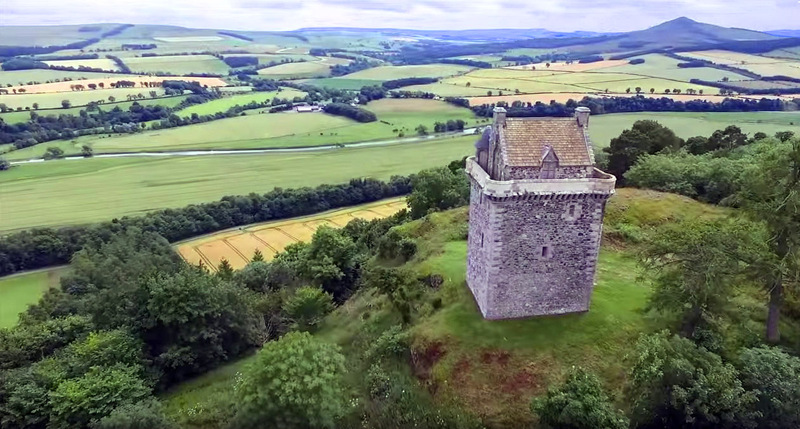 Fatlips Castle is a Scottish Borders icon perched atop Minto Crags looking out over Teviotdale, past Denholm and Bedrule, onto the famed Ruberslaw mountain, and beyond, towards the English border. This Borders Tower has been known through the centuries as Mantoncrake Castle, Catslick Castle, Minto Castle, and most affectionately as Fatlips Castle. The reason for the name Fatlips remains a mystery with a number of amusing proposed origins. There is evidence of an older fort nearby, possibly from the Bronze Age. Little is known of that fort or how the site was likely used during the Roman occupation. The site was used by the Turnbull Border Reivers from the mid 1300s through the 1600s. In 1375, Walter Turnbull received a charter for the barony of Minto from King David II, son of Robert the Bruce. 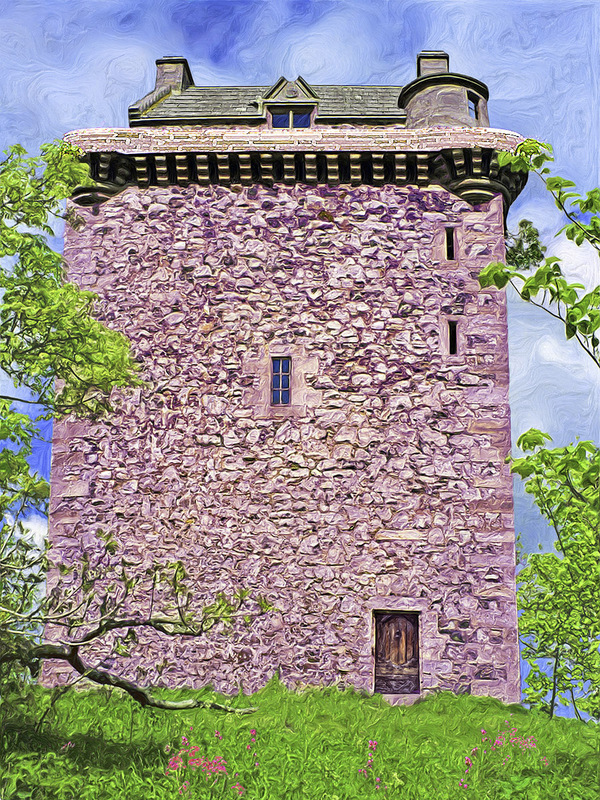 Walter’s son, “Out with the sword”, John Turnbull, built the first of the second millennium towers atop Minto Crags towards the end of the 1300s. That tower, which provided a distant view towards England, used bonfires to signal the occupants of Bedrule Castle, across the River Teviot to the south, of impending danger. Fatlips Castle was was destroyed in 1545 by Lord Hertford (Edward Seymour) sent by England's King Henry VIII who was pursuing Mary Queen of Scots' betrothal to his son Edward VI. The tower was restored in 1857 by Sir Gilbert Elliot and the interior was renovated by the architect Sir Robert Lorimer in 1898 as a shooting lodge and private Elliot museum. The building fell into grave disrepair during the latter part of the 1900s. In 2013 the exterior was restored, as shown in the photograph below. A great deal of fascinating history has been recorded about Fatlips Castle and the barony of Minto. This website seeks to gather the most interesting, pertinent, and important resources into one place. If you find incorrect or missing information please contact us. We do recognize that this is a work in progress and that history has different perspectives.